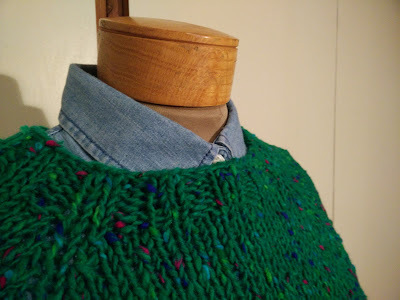 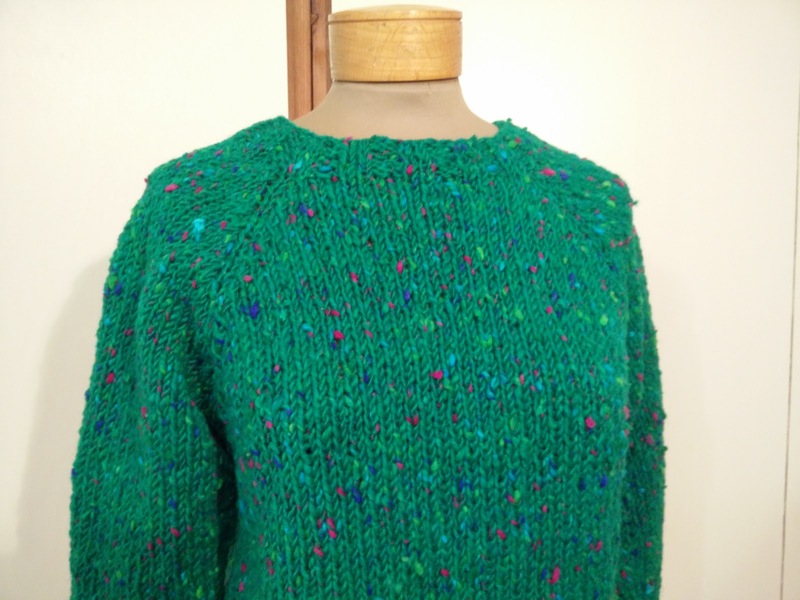 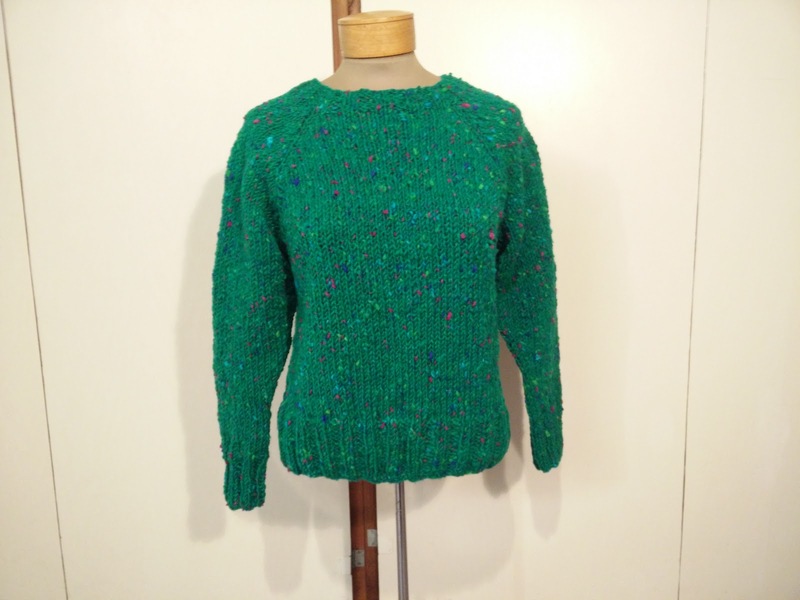 I wanted a quick knitting project and thought this bulky tweed (from my gifted yarn stash) would work perfectly for a simple raglan pullover. 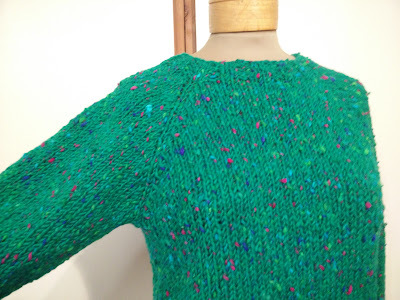 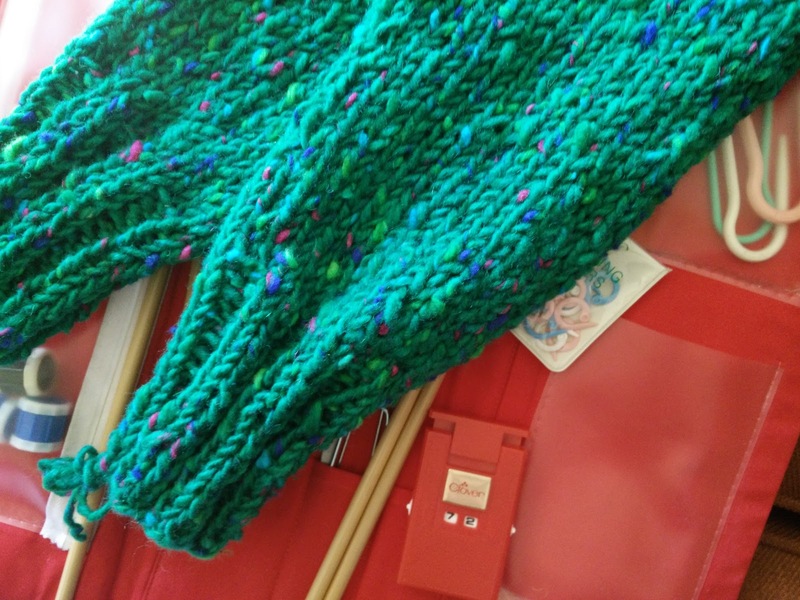 I used the Friendly Fair Isle sweater pattern from Purl Soho, and without the Fair Isle work, this project knit up fast. 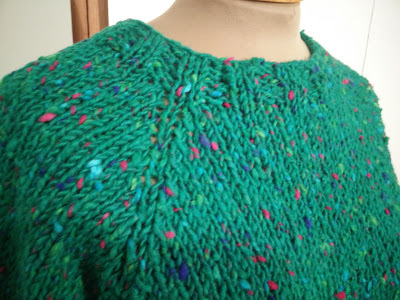 I wanted to make it a little more cropped in length than called for in the pattern, but that's the only modification I made. 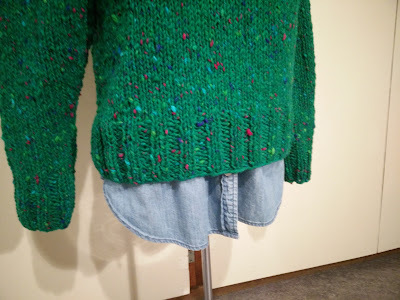 It will be a perfect layering piece for fall and winter. 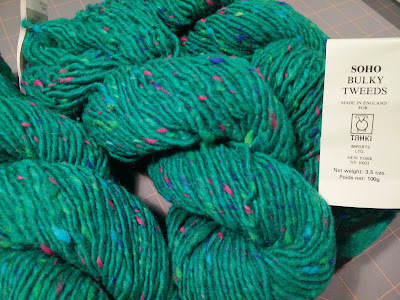 As @edarchitech noted in an Instagram comment, this yarn is totally reminiscent of the old #pdxcarpet at the Portland airport! Love it -- and the color is AWESOME.